The College Board came up with a surprising conclusion about keys to success for college and life. The new course debuted in 2016. Enrollment was the largest for a new course in the history of Advanced Placement, with just over 44,000 students nationwide. The A.P. U.S. Government and Politics course also was reworked. At a time when we have a president who doesn’t act as if he’s read the Constitution — and we have a growing perception and reality that college campuses are no longer venues for the free exchange of ideas and real debate of consequential issues — Coleman and Sanford concluded that it was essential that every student entering college actually have command of the First Amendment, which enshrines five freedoms, not just freedom of speech. One must observe only how Facebook was abused in the 2016 election to see that two of the greatest strengths of America — innovation and free speech — have been weaponized. If they are not harmonized, well, Houston, we have a problem. So the new A.P. government course is built on an in-depth look at 15 Supreme Court cases as well as nine foundational documents that every young American should know. It shows how the words of the Constitution give rise to the structures of our government. Besides revamping the government course and the exam on that subject, Coleman and Sanford in 2014 made a staple of the regular SAT a long reading comprehension passage from one of the founding documents, such as the Constitution, or another important piece of democracy, like a great presidential speech. That said to students and teachers something the SAT had never dared say before: Some content is disproportionately more powerful and important, and if you prepare for it you will be rewarded on the SAT. Sanford grew up in Texas and was deeply affected as a kid watching video of the African-American congresswoman Barbara Jordan arguing the case against Richard Nixon in Watergate. What she remembered most, said Sanford, was how Jordan’s power “emanated from her command of the Constitution. Kids are getting it: An A.P. U.S. Government and Politics class at Hightstown High School in New Jersey was credited in a Senate committee report with contributing content to a bill, the Civil Rights Cold Case Records Collection Act, which was signed into law last month. Three middle school projects—in English, math, and history—use computational thinking skills to address social justice topics. Students carefully plot their next maneuver to grab land in the simulation Scramble for Africa. CT can be used to address issues far beyond computer science, and projects with a social justice emphasis provide a platform for students to apply these skills to engaging, authentic learning opportunities. As Sydney Chaffee says in her TEDx talk on social justice in schools, “Authentic learning enables students to see and create connections in the world around them,” helping students understand why what they’re learning is vital. Here are three examples of projects that teach social justice topics through a computational thinking lens. In this English language arts unit, seventh-grade students study the American criminal justice system while reading Walter Dean Myers’s Monster, a novel about a teen’s trial and imprisonment. In tandem with reading the novel, students conduct a mock trial of the familiar character Batman, using a flowchart to demonstrate the steps (the algorithm) that criminal suspects encounter. Batman is a useful defendant because students generally know about him and agree that his actions are illegal, though they disagree on whether he should be punished for those actions. Harnessing the power of decomposition to break down our complicated legal system, student teams design their own justice systems. They establish policies on 12 topics, including drugs, mandatory minimums, body cameras, and juvenile detention. Using Twine, a platform for interactive storytelling, teams apply their laws to six real criminal cases. The outcome of each case is determined by that team’s previously established policies, which can be revised at the conclusion of the case. Students come to realize that decisions that initially seemed obvious lead to unexpected consequences when applied in different real-world scenarios. 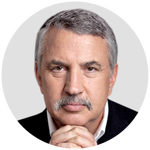 They walk away from this unit having internalized the need for major reform in our criminal justice system, as well as why some policy changes are not as straightforward as they first appear. In this social studies simulation adapted from a lesson by Andrew Patterson, students in grades 7–9 represent the interests of major European powers in the colonization of Africa. Using abstraction with a simplified set of objectives (e.g., resource types, geographic regions, and climates) and a gridded map of the continent, students choose specific squares to claim each round. The amount of land they claim is dependent on their country’s relative strength and colonial focus in that era. At the end of the game, students compare their results with the true outcome of African colonization at the start of the 20th century. Despite the simplistic nature of the simulation, the correlation between maps is typically strong. The political and logistical nuances have been abstracted away, helping students understand the high-level motivations and decisions involved. During the first run, students let their competitive nature show without hesitation. However, they are then tasked with confronting the deeper impact of their colonizing efforts—for instance, what it really meant for these European armies to claim African land, abduct slaves for labor, and exhaust natural resources. In subsequent rounds, teams struggle to balance the morals behind their actions with their desire to “win” the game. In this series of math lessons on probability and population sampling, seventh-grade students calculate rates of drivers of different races being searched at traffic stops. They compare their findings to census data to determine if the numbers represent random sampling or show evidence of racial bias. To set context, students learn about their legal rights during traffic stops and why race matters during interactions with police. Next, they create tree diagrams with data from the Bureau of Justice Statistics to determine probabilities of being stopped by race, which they contrast with general population data. Using pattern recognition, students interpret the data (e.g., 10 percent of all drivers are African American, but 23 percent of all searched drivers are African American) and form evidence-backed conclusions about racial bias in traffic stops across the nation. Finally, students again use random sampling on local police data to compare search rates in their county against their national results, bringing the issue even closer to home. Establish a respectful, safe atmosphere in your classroom by allowing yourself to be vulnerable and by ensuring that all students feel heard. Current events are a valuable source of ideas that students will naturally connect with. Consider allowing students to voice what issues matter most to them. Don’t shy away from controversial topics, as these can lead to the richest discussions. Mitch Resnick, one of the creators of Scratch, on why he thinks coding should be taught in all schools—it’s not the reason you’d expect. For more than three decades, Mitch Resnick has immersed himself in educational technology and innovative learning models. Now a professor at the MIT Media Lab, and a co-creator of the popular Scratch programming language, Resnick remains a tireless advocate for student-centered education, collaborative learning environments, and the idea that coding is a form of literacy. His new book, Lifelong Kindergarten: Cultivating Creativity Through Projects, Passion, Peers, and Play, is a look at our current educational moment. “Roughly two-thirds of grade school students will end up doing work that hasn’t been invented yet,” Resnick contends, hinting at the emerging worlds of artificial intelligence, self-driving cars, and “smart” houses. How do we prepare today’s students to meet that challenge? We talked with Resnick about the importance of coding in our school system, his thoughts on the changing roles of teachers, and new ways to engage students—and assess their work. EDUTOPIA: You moved from journalism—writing about computers and business—to the field of educational technology and learning in the 1980s. What inspired that move? MITCH RESNICK: The most important shift for me in thinking about computers and learning was actually the spring of 1982, the West Coast Computer Faire—which is like an early form of Maker Faire—and Seymour Papert was giving a keynote address. When I heard Seymour talk, it gave me new vision of what role computers might play in people’s lives: They weren’t just machines to get a job done—they could enable people to express themselves in new ways, and change the way people thought about themselves and thought about the world. That was very exciting to me. EDUTOPIA: Are we still struggling with Papert’s early insight—almost astonishing at the time—that the computer isn’t just a processor of information but a platform for constructing human knowledge? RESNICK: Yes I think so, and it mirrors a struggle in the education system that has nothing to do with technology. Many people think of learning and education as a process of delivering information or delivering instruction. Other people see learning and education as student-centered—learning is about exploring, experimenting, creating. Those are very different visions that predate the computer, but of course the computer can fit into either of those two models. It’s a wonderful device for delivering information, but it can also be a wonderful device for creating, exploring, and experimenting. EDUTOPIA: There are influential people, like Apple CEO Tim Cook, saying, “What we need to do is get coding into every single public school. It needs to be a requirement in public schools across the board.” Is that right? RESNICK: If it were up to me, I would introduce it. But I want to be careful because I don’t want to embrace it for the same reason that some people might. The first question I would ask is: “Why should we learn coding at all?” Many people embrace coding in schools as a pathway to jobs as computer programmers and computer scientists, and of course they’re right that those opportunities are expanding rapidly. But that’s not a great reason for everyone to learn how to code. Very few people grow up to be professional writers, but we teach everyone to write because it’s a way of communicating with others—of organizing your thoughts and expressing your ideas. I think the reasons for learning to code are the same as the reasons for learning to write. When we learn to write, we are learning how to organize, express, and share ideas. And when we learn to code, we are learning how to organize, express, and share ideas in new ways, in a new medium. EDUTOPIA: What does that look like in the school system? Does coding sit alongside math and reading? Is it integrated in some way? RESNICK: These days I talk about our approach in terms of these four words that begin with the letter p: projects, passion, peers, and play. So that’s the approach I would take with coding, but also with any other learning: getting students to work on projects, based on their passion, in collaboration with peers, in a playful spirit. And each of those p’s is important. I think work on projects gives you an understanding of the creative process, how to start with just the inkling of an idea and then to build a prototype, share it with people, experiment with it, and continue to modify and improve it. We know that kids are going to work longer and make deeper connections to the content when they are passionate about the ideas—when they care—and when they’re learning with and being inspired by peers. And I’d want to have kids experience coding in the same way. EDUTOPIA: You’re describing a high-choice learning environment rooted in student passion and project work. Where’s the teacher in that mix? They’re consultants, too, and it’s not just about consulting on technical skills, but also about things like how you continue to work on something even when you are frustrated, or suggesting strategies for working with diverse groups of people. Finally, the teacher can be a collaborator, working together with kids on projects—because kids should see teachers as learners too. EDUTOPIA: It sounds like a more democratic, open system, which seems to imply breaking down a lot of barriers? RESNICK: I think breaking down barriers is a good way to think about it. When I think about the type of things that I might change in schools—and I know none of it is easy—a lot of it is about breaking down barriers. Break down the barriers between class periods, because 50-minute chunks are too constraining if you want to work on projects. Break down the barriers between disciplines, because meaningful projects almost always cut across disciplines. Break down the barriers between ages and have older kids work with younger kids—both groups benefit. And break down the barriers between inside of school and outside of school—have kids work on projects that are meaningful to their communities and bring people from the communities into the schools to support the teachers. That’s one way of dealing with the challenge of a single teacher committed to 30 or more kids. It doesn’t have to be that way. Older kids can be helping younger kids, people from the community can be helping. EDUTOPIA: A fair question—and a common criticism—is: How do you figure out whether kids are learning anything? How do you assess it? RESNICK: I would take a portfolio-like approach, looking at what kids create. That’s what we do in our Scratch online community. You can see that a kid has created several dozen digital projects, and you can look through their projects and see their progression. For example, you might see the gradual adoption of new strategies—new types of artwork, but also new and improved programming structures. I acknowledge that it’s difficult to arrive at quantitative measures, but I also think we each don’t necessarily need to. I sometimes make the analogy to the way I’ve been evaluated here at MIT. There are actually no quantitative measures in the process. Basically, they look at my portfolio: They see what I’ve created, they look at the trajectory and the progress over time, and they ask other people’s opinions about it. You’ll sometimes hear, “Well that’s not serious, we need quantitative measures to be serious.” Are they making the claim that MIT is not serious? I understand the criticism that it’s inefficient, but I think those are things we are going to need to deal with. Again, it’s a big change and I’m not saying it’s easy, but I do think we need to move in that direction. Like a lot of children, my sons, Toby, 7, and Anton, 4, are obsessed with robots. In the children’s books they devour at bedtime, happy, helpful robots pop up more often than even dragons or dinosaurs. The other day I asked Toby why children like robots so much. “Because they work for you,” he said. So am I paranoid? Or not paranoid enough? 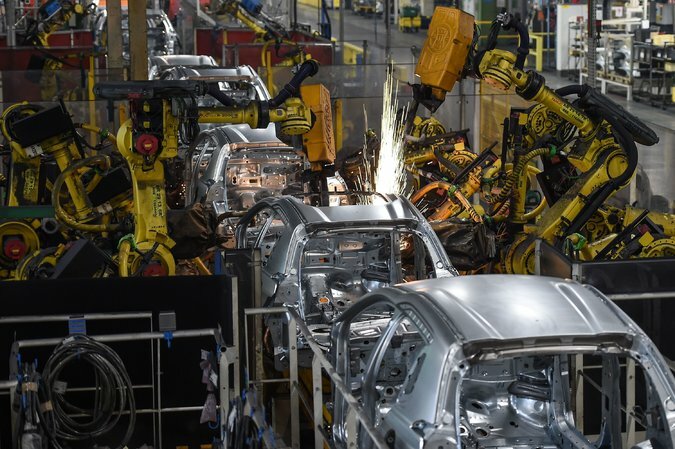 A much-quoted 2013 studyby the University of Oxford Department of Engineering Science — surely the most sober of institutions — estimated that 47 percent of current jobs, including insurance underwriter, sports referee and loan officer, are at risk of falling victim to automation, perhaps within a decade or two. 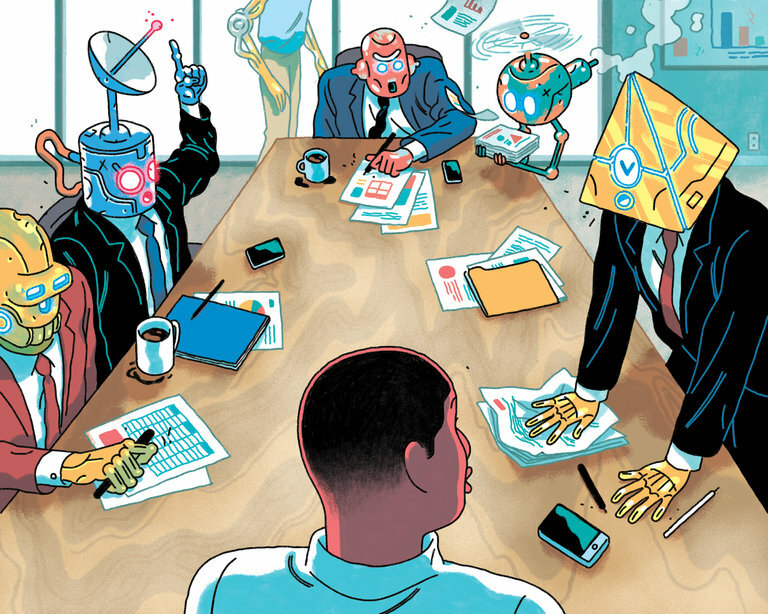 But artificial intelligence is different, said Martin Ford, the author of “Rise of the Robots: Technology and the Threat of a Jobless Future.”Machine learning does not just give us new machines to replace old machines, pushing human workers from one industry to another. Rather, it gives us new machines to replace us, machines that can follow us to virtually any new industry we flee to. 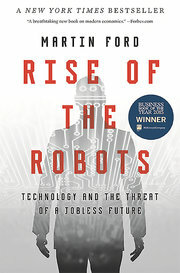 “Rise of the Robots,” by Martin Ford. Northeastern president discusses his new book on how higher education can train students for careers where technology cannot make them redundant. In the era of artificial intelligence, robots and more, higher education is arguably more important than ever. Academic researchers are producing the ideas that lead to technology after technology. On the other hand, a challenge exists for higher education: how to produce graduates whose careers won’t be derailed by all of these advances. Now that robots can pick stocks, this isn’t just about factory jobs, but the positions that college graduates have long assumed were theirs. Northeastern University is involved in both sides of that equation. Its academic programs in engineering, computer science and other fields are producing these breakthroughs. And its students — at an institution known for close ties to employers — of course want good careers. Joseph E. Aoun, Northeastern’s president, explores these issues in Robot-Proof: Higher Education in the Age of Artificial Intelligence (MIT Press). Aoun is a scholar in linguistics when he’s not focused on university administration. His book argues that changes in the college curriculum are needed to prepare students in this new era, but that doesn’t mean ignoring the humanities or general education. Aoun, one of seven presidents honored today by the Carnegie Corporation for academic leadership, responded via email to questions about his new book. Q: How worried should college graduates be about being replaced by technology? Is it likely that many jobs today held by those with college degrees will be replaced by robots or some form of technology? A: Smart machines are getting smarter, and many of the jobs performed by people today are going to disappear. Some studies predict that half of all U.S. jobs are at risk within the next 20 years. And it’s not just blue-collar jobs; today intelligent machines are picking stocks, doing legal research and even writing news articles. Simply put, if a job can be automated in the future, it will be. For higher education to meet this challenge — for us to make people robot-proof — we need to change. In my book, I offer a blueprint for how we can accomplish this. We will need to re-envision the curriculum, invest in experiential education and put lifelong learning at the heart of what we do. It will not be easy, but we have a responsibility — to the students of today and tomorrow — to change the way we do business. Q: In an era of adaptive learning and online learning, should faculty members be worried about their jobs in the future? A: We’re seeing educational content become commoditized. Therefore, the job of faculty members has to go beyond simply transmitting knowledge. More than ever, the priority for faculty is to create new knowledge and act as the catalysts to make their students robot-proof. The personal connection between student and teacher cannot be replaced by a machine. But, like students, faculty members must act to meet the challenge of today’s world and should embrace the transformation of higher education that I describe in my book. Q: What is “humanics,” and what are the three kinds of literacy that you want colleges to teach? A: Humanics is the curriculum for a robot-proof education. It is based on the purposeful integration of technical literacies, such as coding and data analytics, with uniquely human literacies, such as creativity, entrepreneurship, ethics, cultural agility and the ability to work with others. The key is integration. We need to break down the academic silos that separate historians from engineers. When I talk to employers, they tell me that they would give their right arm for more systems thinkers — quarterbacks who can see across disciplines and analyze them in an integrated way. And every student should be culturally agile, able to communicate across boundaries, and to think ethically. By integrating technology, data and humanities, we can help students become robot-proof. Q: In your vision for the future of higher education, is this about embedding these skills into existing programs or starting from scratch? A: Higher education has the elements for a robot-proof model, but we need to be much more intentional about how we integrate them. As I’ve mentioned, our curriculum needs to change so that technical and human literacies are unified. We need to deliver this curriculum in an experiential way. This means recognizing that learning happens beyond the classroom through co-ops and meaningful internships. I truly believe that experiential education is the most powerful way to learn. Still, no one is going to be set for life. We need to commit to lifelong learning in a way that we haven’t done in the past. Universities have been engaged in lifelong learning for many years, but it is usually treated as a second-class operation. We need to bring lifelong learning to the core of our mission. This will require us to rethink the way we deliver education, particularly to working professionals who don’t have time to be on campus every day. Online and hybrid delivery modes will be essential. We have to meet learners wherever they are — in their careers and around the world. Credentials will need to be unbundled so that learners don’t have to commit to long-term degree programs. Stackable certificates, badges and boot camps will become the norm. These changes won’t happen by themselves. Institutions should establish authentic partnerships with employers, redesign courses to fill gaps that employers actually need and connect them with students through co-ops and internships. Q: How is Northeastern getting ready for these changes? A: Northeastern has designed its academic plan to meet the challenges — and opportunities — presented by smart machines. Beyond the curricular changes required by humanics, and our leadership in experiential learning, we are building a multicampus network spanning different cities, regions and countries. Learners will be able to gain access to this network wherever they are and whenever it’s convenient for them. Throughout its history, higher education has adapted to changes in the world. Knowing what we know about the revolution of smart machines, we have a responsibility to remain relevant and an opportunity to make our learners robot-proof. “Everything that is old is new again!” Daniel Rabuzzi exclaims, his eyes light up with excitement that seems to match the glowing, handcrafted flower pinned on his vest. He’s talking about the next wave of the Maker Movement, big news buzzing amongst makers in the inner circle. Rabuzzi, like many experts within the Maker Movement, believes the heavy emphasis on standardized testing in schools, which has pushed the arts, shop and home economics into the shadows, is what spurred outside groups like Mouse to begin hosting alternative makerspaces for students. Throughout the years, Rabuzzi has seen the movement evolve. 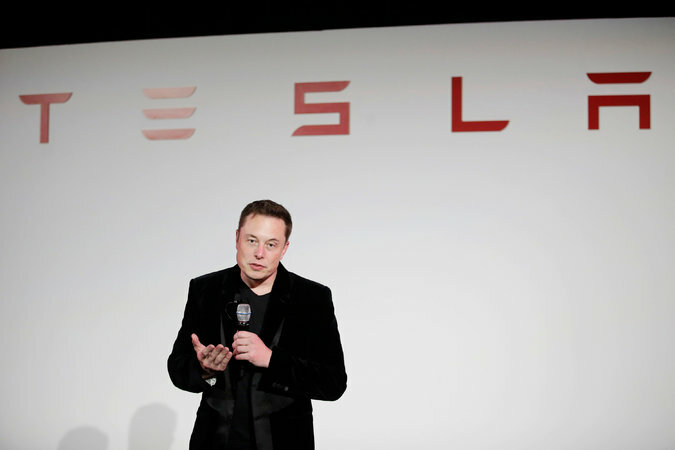 Most recently, he’s seen technology become more directly integrated with making, along with an uptick of women in leadership. “It can’t just be the boys tinkering in the basement anymore,” says Rabuzzi, pointing to women in maker leadership, like littleBits founder Ayah Bdeir, who encouraged more young girls to enter the space. Now Rabuzzi, along with makers, investors, and journalists, are buzzing about what they describe as the next wave of making: the Maker economy, which many believe will transform manufacturing the United States by integrating with the Internet of Things (IOT), augmented reality (AR), virtual reality (VR) and artificial intelligence (AI). “There is all this talk about bringing back manufacturing to America, and I feel like this is going to come back on a local level,” says Juan Garzon, former Mouse student, who started his hardware company. He believes that personalized goods designed and manufactured by Makers through mediums like 3D printing will drive the return of domestic manufacturing. “The future of manufacturing is not a big plant, but someone designing what they want and developing custom made things. It sounds so sci-fi, but it is within my lifetime,” continues Garzon. News reports from Chicago Inno show that custom manufacturing designed by makers might be an active part of the domestic economy sooner than Garzon realizes. Inno reports that several Maker-entrepreneur spaces are popping up in the city with hopes to develop places where creators can build scalable products to be manufactured, creating new businesses. For many, talk of 3D printing and merging Making with AI are bleeding edge topics, far away from today’s realities. But for technologists supporting Mouse, this the world they want to prepare students to be a part of. Mouse students at the 20th-anniversary party are already getting started. At the event, some students proudly showed off projects they designed in 3D spaces that can be viewed and altered in virtual reality. Many of the projects students worked on required a mixture of creativity, technical skills and awareness of the societal needs. Displays showcasing green energy projects along with digitalized wearable technology for persons with disabilities were all throughout the room. Still, Rabuzzi imagines more. How do we use Alexa and Siri in the Maker Movement? He hopes that through making, students can test the limits of new technologies and do good for the society. “How do we use Alexa and Siri in the Maker Movement?” Rabuzzi wonders aloud. He describes his idea of using AI to support students in designing, prototyping and creating new learning pathways in future, but admits that he doesn’t have the funding or technology for such ambitious projects now. He hopes that some of Mouse’s corporate funding partners are interested in supporting the endeavors.